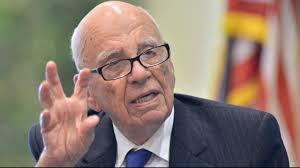 Rupert Murdoch heads one of the world’s largest media empires, the News Corporation, which during FY2013 had nearly $8.5 billion in revenue from a diverse range of media products, including Fox News and numerous other press outlets in the United States, Australia, and the United Kingdom. Murdoch is notorious for blatantly using his media holdings to try to impact policy decisions in numerous countries, including the United States and the United Kingdom. After the 9/11 attacks, for instance, Murdoch was widely considered to have pressed many of his news outlets to promote a pro-war line that echoed efforts by both President George W. Bush and Prime Minister Tony Blair’s to push for the invasion of Iraq. Beginning in 2006 and peaking in 2011, a series of scandals erupted in which News Corp and Murdoch were embroiled in allegations that the company attempted to access voicemail records of “hundreds of celebrities and government officials,” murdered British girls, and 9/11 victims. British police arrested numerous top executives, including Rebekah Brooks, the former editor of News International, and the head of Scotland Yard resigned over the handling of the affair. Sources also claim that News of the World journalists solicited a private detective to hack into the voicemails of 9/11 victims. Murdoch’s son James, the heir apparent to News Corp, was accused of having given “mistaken” testimony to a British parliamentary investigation. 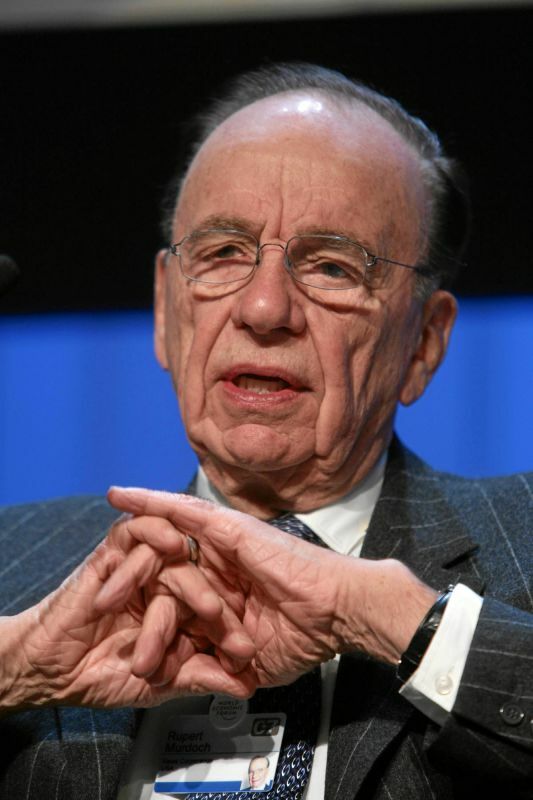 The younger Murdoch testified that he was unaware of the phone hacking allegations, but two former News Corp executives eventually came forward, saying that Murdoch had indeed knowledge of the illegal activities. News Corp., “News Corp Reports Fourth Quarter and Full Year Results for Fiscal 2014,” http://newscorp.com/2014/08/07/news-corp-reports-fourth-quarter-and-full-year-results-for-fiscal-2014/. David D. Kirkpatrick, “Mr. Murdoch’s War,” New York Times, April 7, 2003, http://www.nytimes.com/2003/04/07/business/media-mr-murdoch-s-war.html. Eliza Collins, “Murdoch scores the 4th GOP debate for Rubio,” Politico, November 11, 2015, http://www.politico.com/story/2015/11/rupert-murdoch-gop-debate-215766. Michael Corcoran, “The Weekly Standard’s War: Murdoch sells the magazine that sold the Iraq invasion,” Extra!, September 2009,http://www.fair.org/index.php?page=3944. Tim Arango, “New Owner for a Magazine As Political Tastes Change,” New York Times, August 3, 2009,http://www.nytimes.com/2009/08/03/business/media/03standard.html. Roy Greenslade, “Their Master’s Voice,” Guardian, February 17, 2003, http://www.guardian.co.uk/media/2003/feb/17/mondaymediasection.iraq. Alessandra Stanley, “It’s Reported, They Mock, You Decide,” New York Times, April 7, 2003. “Amanpour: CNN Practiced Self-Censorship,” USA Today, September 14, 2003, http://www.usatoday.com/life/columnist/mediamix/2003-09-14-media-mix_x.htm. Jim Rutenberg, “Behind the War Between White House and Fox,” New York Times, October 22, 2009,http://www.nytimes.com/2009/10/23/us/politics/23fox.html. MoveOn.org, “Don’t let Sheldon Adelson become the next Rupert Murdoch,” http://petitions.moveon.org/sign/dont-let-sheldon-adelson. New York Times, “Anatomy of the News International Scandal,” July 20, 2011, http://www.nytimes.com/interactive/2010/09/01/magazine/05tabloid-timeline.html?ref=europe. David Carr, “Troubles That Money Can’t Dispel,” New York Times, July 17, 2011, http://www.nytimes.com/2011/07/18/business/media/for-news-corporation-troubles-that-money-cant-dispel.html?_r=3&pagewanted=all&seid=auto&smid=tw-NYTimesAd. David Collins, “Phone hacking: 9/11 vicims ‘may have had mobiles tapped by News of the World reporters,’” The Daily Mirror, July 11, 2011,http://www.mirror.co.uk/news/most-popular/2011/07/11/phone-hacking-9-11-victims-may-have-had-mobiles-tapped-by-news-of-the-world-reporters-115875-23262694/. Tim Castle, “News Corp’s James Murdoch under pressure over hacking testimony,” Reuters, July 24, 2011,http://www.reuters.com/article/2011/07/25/newscorp-idUSL6E7IO0HT20110725. Graham Bowley and Jo Becker, “Pressure on Murdochs Mounts in Hacking Scandal,” New York Times, July 22, 2011,http://www.nytimes.com/2011/07/23/world/europe/23murdoch.html. Economist, « Why is News Corp splitting in two?” June 23, 2013, http://www.economist.com/blogs/economist-explains/2013/06/economist-explains-14.